Comments - Striking winter scene of the ornate Yomei Gate at Toshugo Shrine in Nikko, the final resting place of the Tokugawa shoguns. 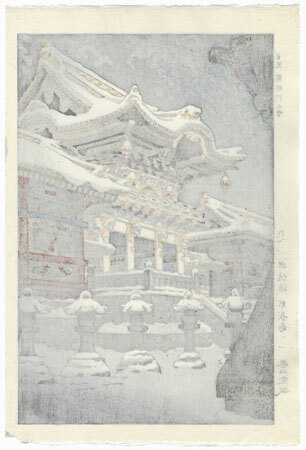 The elaborately carved structure is blanketed with snow as evening falls, the twilight creating shadows in soft blue gray. 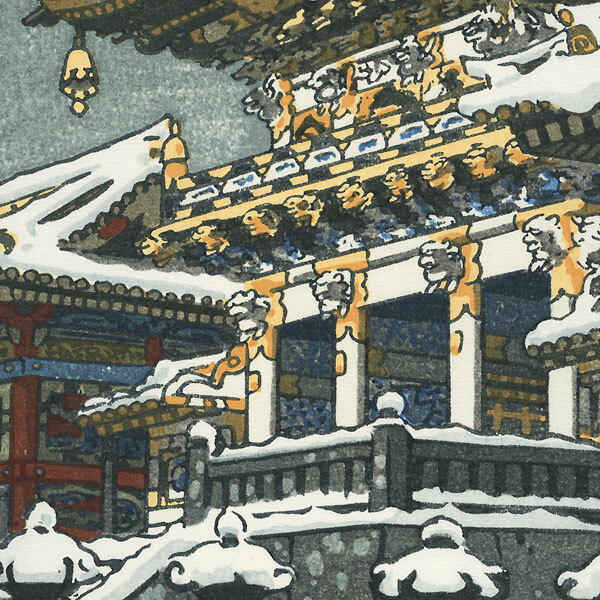 Beautifully detailed with a wonderful subdued color palette evoking a quiet winter night. 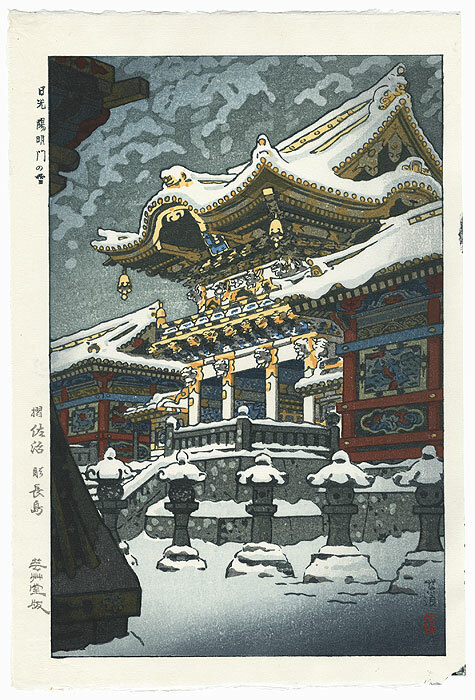 A lovely shin hanga design which would make a lovely framed display.